It is unnecessary to use the spacebar when typing long sentences. No one ever makes typing errors. All monitors display 2-inch-high letters. The high-tech computers used by NASA, the CIA, or other governmental agencies, have easy-to-understand graphic interfaces. Those without have incredibly powerful, text-based command lines that understand plain English. Corollary: Anyone can access any information by simply typing "Access all secret files" on any keyboard. You can infect a computer with a destructive virus by simply typing "Upload virus." Just as they do in humans, viruses raise a computer's temperature. Soon smoke will billow out of disk drives and monitors. 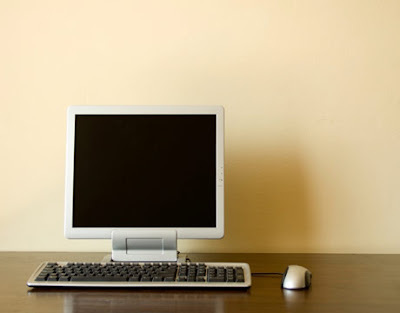 You can access information on any desktop computer, even when it's turned off. Powerful computers beep whenever you press a key or whenever the screen changes. Some computers also slow down the screen output to reading speed. Really advanced ones emulate the sound of a dot-matrix printer as characters appear on-screen. All computer panels have thousands of volts and flash pots just beneath their surface. Malfunctions are always indicated by bright flashes, puffs of smoke, showers of sparks, and explosions that throws people backwards. After typing on a computer, you may safely turn it off without saving the data, naming the file, or specifying its location. Hackers can easily break into the most sensitive computers before intermission. They only need a few tries to guess secret passwords. Any "Permission Denied" message has an "Override" function. Computers take approximately two seconds to boot up. Complex calculations and uploading or downloading huge amounts of data take about three seconds. Movie modems transmit data at about two gigabytes per second. When the power plant/missile site/main computer overheats, all the control panels explode shortly before the entire building does. If you display a file on the screen and someone deletes the file, it also disappears from the screen. There are no backup files. There is no undelete. All computers interface with all other computers regardless of manufacturer or galaxy of origin. All computer disks are readable by all computer systems. All computers can use any application software. You are asked for a password when you just look at a disk containing encrypted files. The more high-tech the equipment, the more buttons it needs. Operators of high-tech computers must be highly trained because the only labeled button reads, "Self Destruct." Most computers, no matter how small, have reality-defying, three-dimensional, real-time, photo-realistic, animated graphics capability. Laptops all have real-time videophone capabilities and the performance of a CRAY-MP. Whenever characters look at monitors, the image is so bright that it projects itself onto their face. Computers never crash during important, high-intensity activities. Humans operating computers under stress never make mistakes. Internet searches always return what you seek no matter how vague your keywords. All photographs can be enhanced simply by pulling minute details out of the grain. You can zoom into any picture as far as you want. "What's that fuzzy thing in the corner? Enhance." "Look! It's the murder weapon!"